With Readly you can read Quizfest and thousands of other magazines on your tablet and smartphone. Get access to all with just one subscription. New releases and back issues – all included. 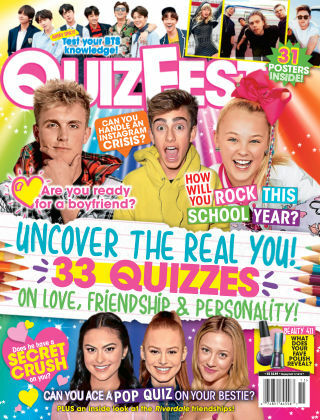 "The Bauer Teen Group presents QuizFest, ASTROgirl, and Yikes! – three special newsstand only issues that are published eight times a year. 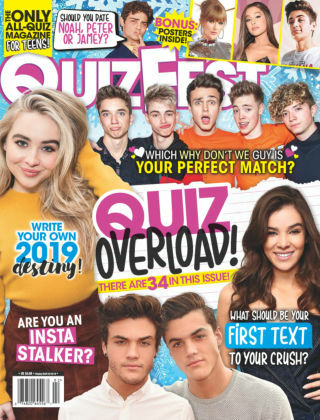 Packed full of all the quizzes, horoscopes and celebrities that readers love, these publications are the perfect way to extend your reach to teens nationwide throughout the year. Each issue guarantees a distribution of 400,000 copies and is on sale for 8 to 12 weeks."